Marijuana homogenization is a tricky subject. In fact, it refers to two topics that overlap in ways. The threat of big business’ influence is a topic we’ve discussed at some lengths and will cover more soon. However, this is about the need for a slightly different homogenization, the process which ensures uniformity across a produced product. One does play into the other. Yet, this homogenization affects cannabis in an entirely other manner. Homogenization is standard in many grocery products including milk, cheese and fruits. In cannabis, that is not the case just yet. Recent events make the topic worthy of discussion once again though as alarming news about inconsistent marijuana products has continued to come in over the past few months. One blind test of 84 CBD products sold by 31 companies revealed that only about 31% actually contained the amount of CBD listed on its label. Even the top strains in the world are turning up void of cannabinoids. The industry needs product homogenization. Without it, consumers, the market and its perception could be at stake. When a customer buys a CBD product, they expect to receive treatment that is in-line with what is described on the label. The same can be said for the top strains in the industry. However, as recent news out of Northern California’s Emerald Cup showed, that is currently not the case. 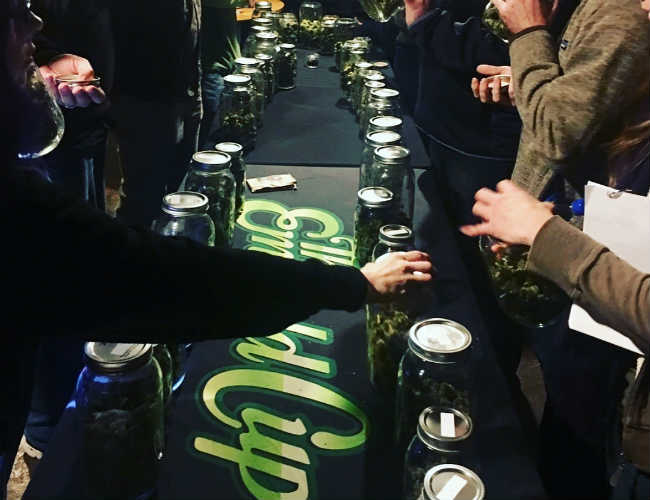 This year saw six products at the Emerald Cup test for 0 mg of THC, CBD or other cannabinoids. The products ranged from drinks, food and topicals. Even if this isn’t a concern to your consumption methods, the news should still pique your interest. Not only are an untold number of cannabis companies not homogenizing their products, they are sending products out to consumers without any regulatory oversight or quality control standards in place. This oversight cannot continue to happen. In an emerging market with its fair share of detractors ready to pounce on any negative news, there isn’t room for any significant slip-ups. Furthermore, this is not just about buying underperforming products. In some cases, homogenization is needed to even out a product. Otherwise, consumers could find themselves in a cannabis “hot-spot” where an overwhelming amount of THC and CBD hits them. While most veteran consumers are adept at riding out the feeling of being too high, many new entrants to the field are not. Not only could they have a bad experience, but it may also trigger a wave of negative marketing. The magnitude of word-of-mouth marketing cannot be understated. It is up to marijuana product manufacturers to ensure that their product doesn’t start an avalanche of negative public sentiment. Because of this, each customer needs to have exactly what is listed on the label. Unfortunately, the U.S. government continues to keep marijuana as a schedule I drug. This leaves states and their respective cannabis industries to decide how a product is standardized, for now at least. In many cases, state’s rights are a vital component to American business. However, in this case, cannabis would benefit in a way that has seen alcohol, tobacco and cosmetics, to name a few, thrive as an industry in America. The need for change in the market is mostly driven by the need to give medical patients the exact dosage they need. Without a homogenized, adequately labeled federal system in place, patients risk receiving improper doses of medicine they need to function throughout the day. If you were to replace cannabis with a painkiller or anti-depressant, the world would be in an uproar over inaccurate doses. The same needs to occur in the burgeoning marijuana community for both recreational consumers and medical patients. As the cannabis industry further establishes itself on the global market each year, advocates champion the cause for standardization that extends beyond homogenization, evidenced in the video below from the American Society for Testing and Materials. With American, Canadian and European voices leading the push for standards in the industry, the initiative continues to gain momentum – further confirming homogenization’s viability as a market sector on a global stage. Yet, some pockets of the marijuana business aren't ready to embrace the move. If someone asks you about homogenization in marijuana, make sure you differentiate the two. Both subjects are crucial to the growth of the industry. While they do share common connections, that doesn’t have to be the case. Despite sample sizes in both bits of news being smaller, they serve as a warning to everyone. However, with proper product oversight and quality assurance, manufacturers can improve their product’s integrity. In doing so, the market’s credibility remains intact and the industry grows. It may seem like nothing can derail the market. However, with Jeff Sessions frothing at the mouth to attack, any slip up could be the trigger for a legal avalanche. Cannabis shouldn’t have to become “Big Marijuana” to function in the future. Certain companies and entrepreneurs have shown their ability to operate without oversaturating their power and other companies are working to achieve that goal as well. The industry needs to control itself without homogenizing customer offerings or creating a Big Marijuana. A balance can be struck. The question is will one be struck? Do you feel the cannabis industry needs to incorporate homogenization into their rules? Have you ever experienced inconsistencies in your cannabis products? Comment below!